Playing around with Spock and Plaxo recently, I've been interested in the worldwide usage of social networks. It always seemed that one Country/Region/Linguistic area have higher proportions of useage, but I hadn't seen any hard figured until now. But I really haven't been looking, and yes I found this through Digg. 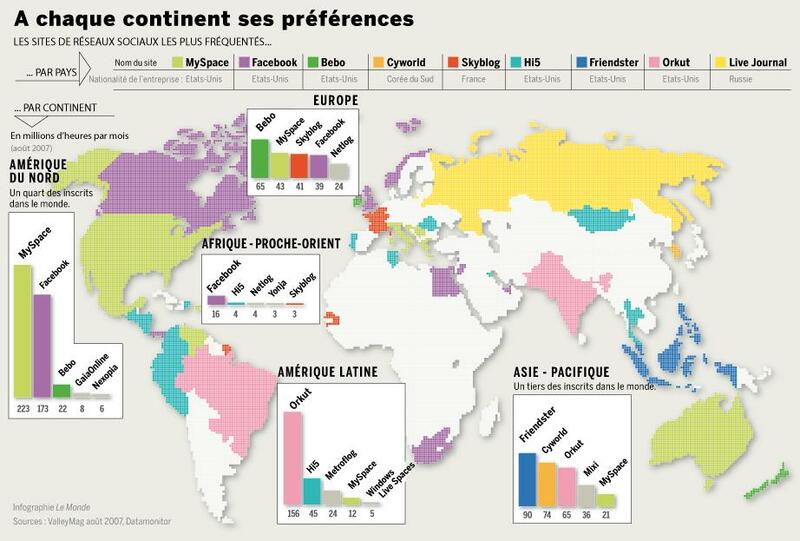 While Le Monde's graphic is in French, I'm pretty sure anyone with a basic grasp of a romantic language can figure this out.